So I’ve been stuck inside for a few days because of Blizzard 2013. Thankfully I did have power the entire time… which gave me an excuse to try a few things in the kitchen! Out came Coconut Blizzard Cookies. 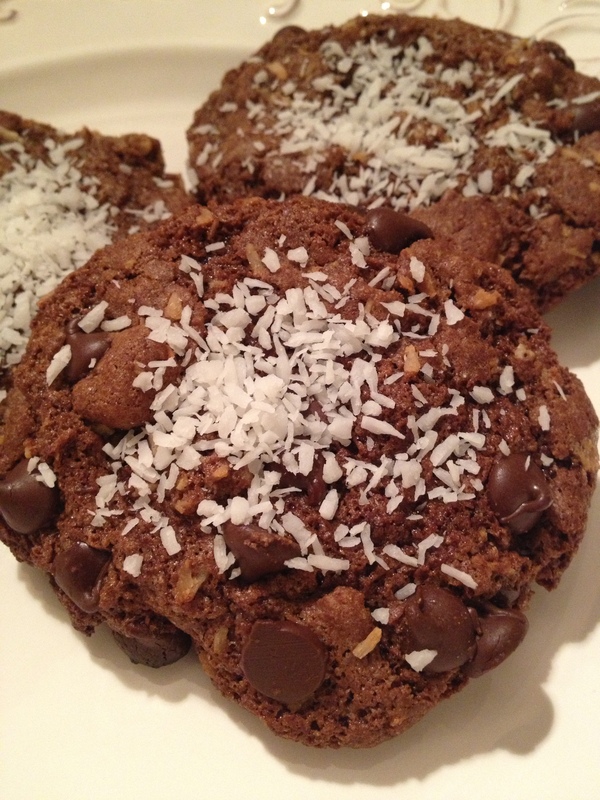 I love a good chocolate chocolate cookie, so here is a gluten and dairy free version. Delicious warmed up on a snowy day. Combine all ingredients in a bowl (minus the 3 tbsp. coconut topping). Put the dry ingredients in first, then the wet ones and stir well. On a greased cookie sheet, drop small rounded balls of dough, about two inches apart. Bake at 350 degrees about 16 minutes. Take out of the oven and sprinkle extra coconut on top.